After Kanye West’s recent outpouring of support on Twitter for Donald Trump and his claim that slavery was “a choice,” the backlash for the 40-year-old controversial rapper continues. During a live interview in TMZ’s newsroom on Tuesday, May 1, West revealed that he was addicted to opioids after undergoing liposuction. The revelation was shocking, considering West’s mother, Donda, died in 2007 from complications of a liposuction and breast-reduction surgery. 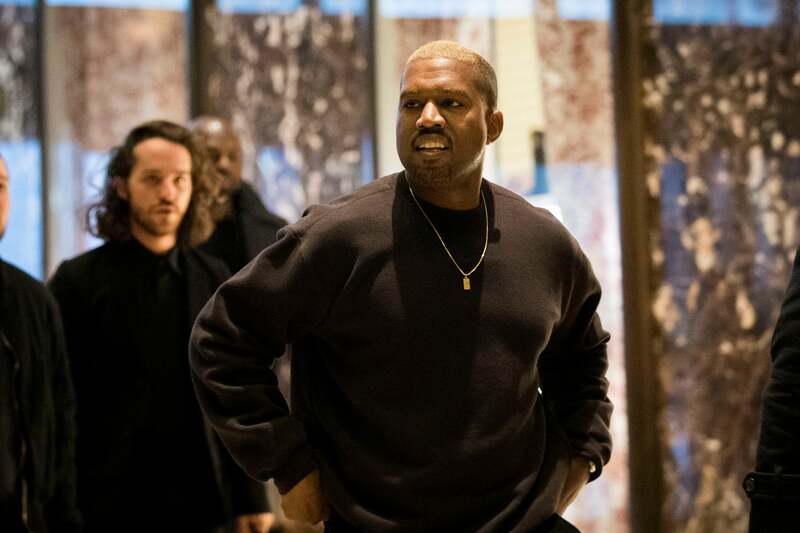 The hospital stay West referred to during the rant-filled TMZ interview was in 2016, when he was admitted for “exhaustion” and placed on psychiatric hold after abruptly canceling his Saint Pablo Tour. But the expletive-laden tirade didn’t stop there for West, who is set to release his eighth studio album on June 1. Though West has yet to expound on his surgery and battles with opioid addiction, he did attempt to clarify his stance on slavery, which sparked the trending hashtag #IfSlaveryWereAChoice, on Twitter. “To make myself clear, of course I know that slaves did not get shackled and put on a boat by free will,” he tweeted.